- They are both skilled (sword)fighters. Although Altaïr prefers to evade open battles, while Yoshimitsu enjoys them. - They both have stealth abilities, Altaïr mainly from blending with people in the city, Yoshimitsu does this on his own. - They are both head of their groups. Altaïr of the Assassin's order and Yoshimitsu of the Manji clan. - They, along with their respective groups, fight for the people. They both do this in an underground, unfunded way. - Both groups know traditions, although the Manji have more spiritual ones, while the Assassins have more rational ones. - They both seem old, experienced and wise. Hrm... no, I don't think Yoshi enjoys fighting that much. I think he enjoys martial arts and sword play, but fighting to him is rather a necessity, to survive and stuff... Can't go around stealing to save the poor without being able to cover your own back lols. Notice in T6 he tries to reason and negotiate with his opponents, but they are all so arrogant that he must fight them anyways. But one thing they certainly do have in common is climbing walls and jumping off buildings! I'm of course talking about Altaïr, grandmaster of the assassin's order. Not about the foolish Altaïr in the beginning of the game. 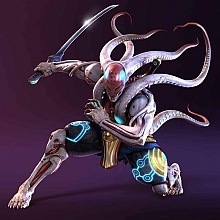 He's much more like Yoshimitsu if you think of the older Altaïr. Not only that one thing you mentioned. Everything I mentioned too, especially the head-of-their-group-thing. That is true isn't it? I know he's a villain but he's very charismatic, intelligent, fearless, skilled and dons a sweet mask. He was also a leader of a band of revolutionaries but even though his ideals were out of place, pushing for equality wasn't a totally a bad idea. I could totally see Yoshi as a Jedi and with his new Octo design, I remembered this guy from the movies. 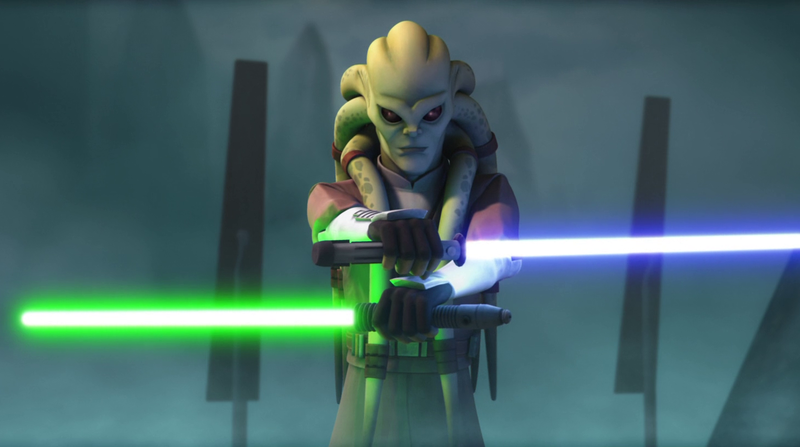 Pic is from a fight in The Clone Wars and he managed to disarm Grievous to coincidentally dual-wield lightsabers. 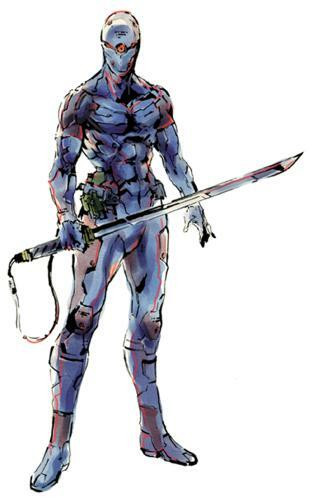 Not a big Metal Gear player but he's my favorite character from the series. He's a silent deadly assassin and it's the design I want Yoshi to be the most. 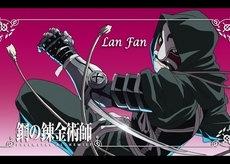 Lan Fan is a masked ninja bodyguard from Brotherhood which is based on the manga. She got her left arm cut off and replaced with a mechanical one similar to Yoshi. Zombie Swordsman from Thriller Bark in One Piece. Really love his design and thought he's the coolest enemy in that arc. He's more battle-hungry as a zombie but he was a pretty honorable samurai back when he was human. That's all I got for now. I'll add more when I find other characters. The predator isis, the flesh colours and texture like around yoshi's, head, eyes and neck, both being cyborgs, light sabres. Cool tweet I found comparing Yoshi's new Rage Attack to one of Kenshin's signature moves from Rurouni Kenshin. 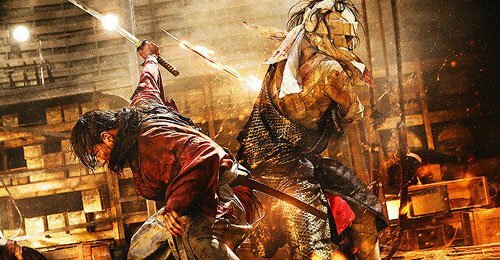 I think it's pretty lousy to liken Yoshi to just any samurai out there but Kenshin is an iconic character and it's nice to see some comparisons even though I think the two are marginally different. - Also looks like he has Raven moves, like his salamander throw and slide. How about Genji from Overwatch? While I have to admit he's incredibly Yoshi-ish, I think the quotes might be entirely coincidental. 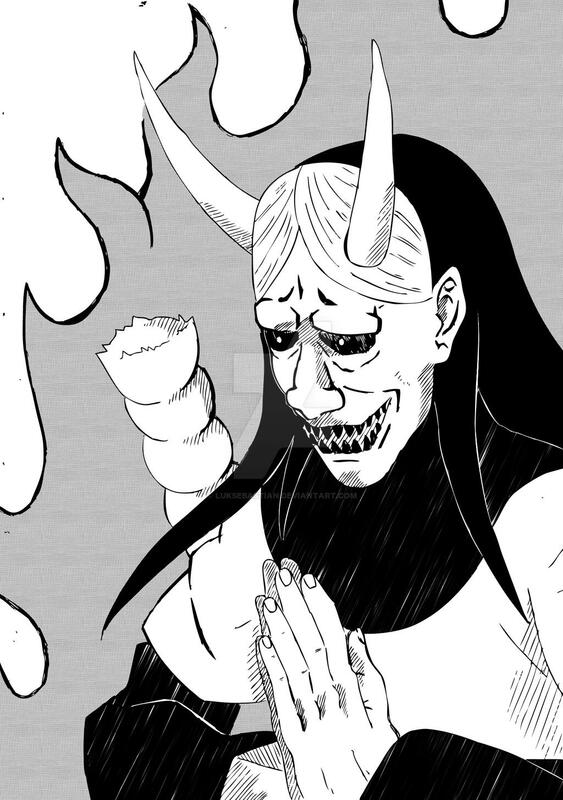 I was curious so decided to google the expression 'Iza, jinjou ni shoubu' because I didn't know it. It turns out that this is a fairly commonly used expression in manga or historical dramas that are trying to capture the feeling of 'old Japanese', although like much of these old fashioned phrases, many modern day youngsters don't fully understand them. They frequently pop up in period dramas or manga, but what exactly is the difference between 'Iza, jinjou ni shoubu' and 'iza shinmyou ni shoubu'? As far as I can tell they're both used in similar situations, but I don't really know how they differ. In this case 'shinmyou' like 'Jinjou', is used to mean 'obedient, respectable', closer in meaning to 'gallant' or 'virtuous' than 'usual' or 'normal'. 'Shinmyou' gets the meaning of 'obedient, respectable' because of its use in 'shinmyou ni o nawa ni tsuke' meaning, 'please come quietly', or in other words 'let me seize you without a fuss'. So my feeling is that 'iza, shinmyou ni shoubu' might be used in manga and so on in the sense of 'fight like a man'. That was tricky to translate because 'sunao' translates differently in English depending on the context and we don't have a single word that captures the same meaning. The guy answering is referring to the ways that this and the word 'shushou' can be taken differently depending on the context but the words I had to use in the English don't have this fluidity so it doesn't come across quite so well. I digress however. My point was just to illustrate that the phrase is pretty common (and okay.. it was an excuse to translate something). *weblio, an online English dictionary for Japanese speakers, translates the phrase to 'give me a fair chance' and while I guess that works, it feels off somehow. Like, it shows hesitation or subordination. Nice find grey! That pokemon and especially that yogi robot looks really cool ^^ I haven't seen nor heard much about him, despite much exposure of overwatch. 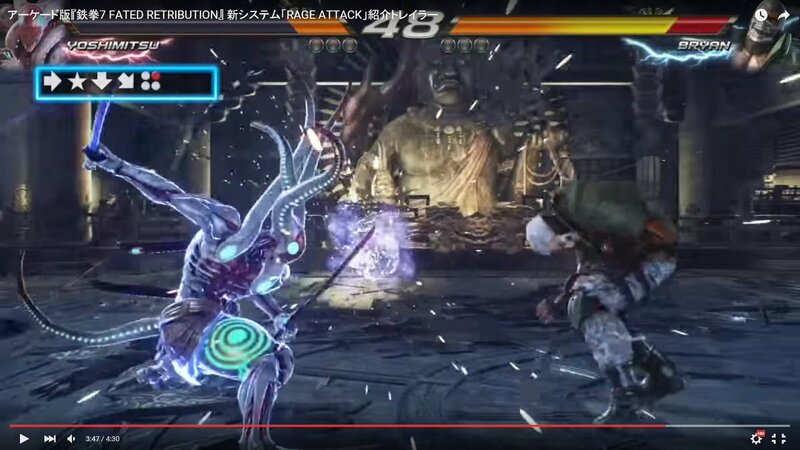 By now you would think that namc makes as many costumes as possible for making as many assciations with yoshimitsu as possible. I don't play Overwatch but Genji is easily the Yoshimitsu looking character of the bunch. 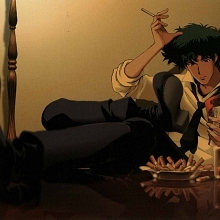 Looks real cool and as far as I know, he's a popular character. Zenyatta also gives off the Yoshi feel and If I played Overwatch, I'll most likely play him. Another one I saw on Twitter and it instantly reminded me of Yoshi's TTT2 costume is the mythical Pokemon Volcanion.